Add a New Bolt or Bolt Carrier Group? 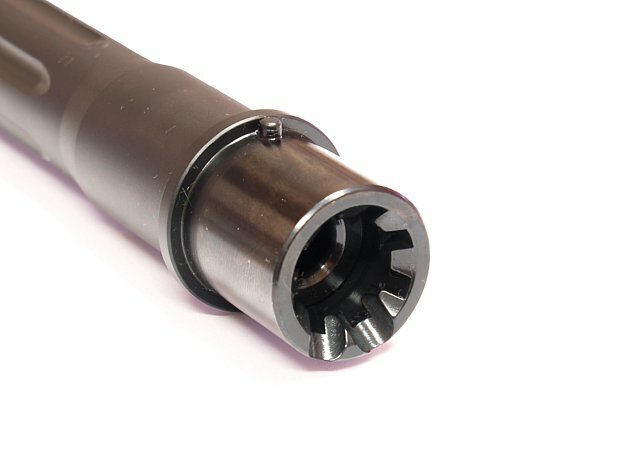 Our EABCO 16" Fluted 300 AAC Blackout AR-15 Accuracy® Barrel is fully chambered and ready to install on an upper receiver. 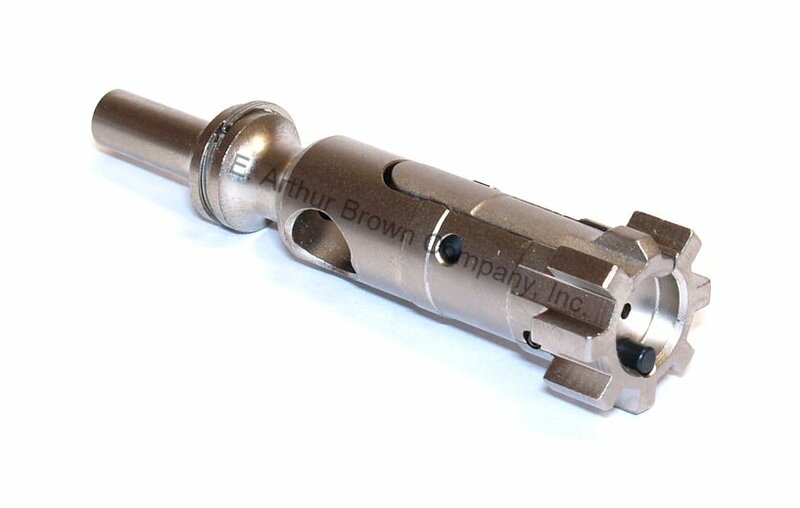 It features a center cut target crown for enhanced accuracy potential, and is threaded 5/8 X 24 for a suppressor or flash hider. This barrel is rifled 1:8 twist which is optimal for heavy bullet, subsonic ammo. Ready to install with M4 feed ramps barrel extension and locator pin included. 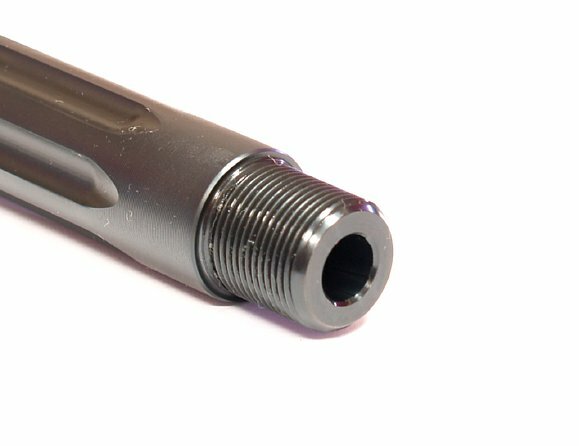 EABCO Accuracy Barrel Features: Chambered to Minimum SAAMI Specs, Crowned Center-to-Center target style. "Here is a pic of a group shot with your 300 Blackout barrel. 1/4" center to center. .130 off lands. 22.4 grs H110 powder. 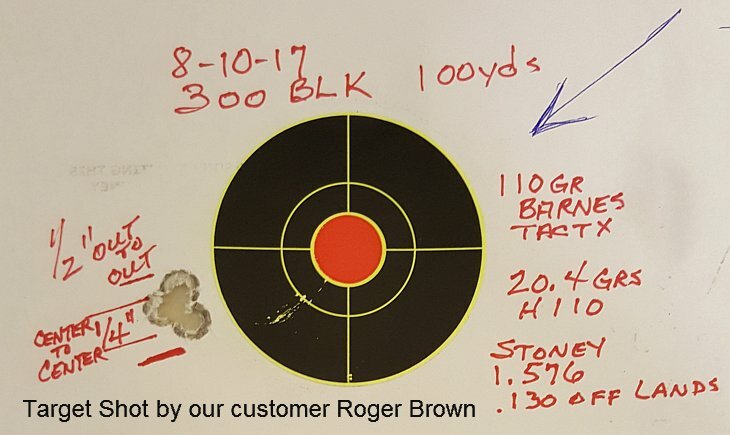 Barnes 110 gr tac tx. Say to you now, this is what you build my friend. - Roger Brown" (Comment sent with target photo above). Great barrel, after I broke in the barrel the first string was under an inch. Just what I was looking for! Now I’m going pig hunting with my new gun.. This was my first build. Barrel went into the upper receiver fine. Shot it at the range and was quite happy with accuracy. Installed an adjustable gas block on it, and once it was set had no problem cycling. Plus the fluting looks great. Would recommend.